February has been a productive month! I completed four pieces in one week alone. Two of the pieces are reserved for the Black & White show at Hardy & Nance in April. Only patrons over at my Patreon site get a sneak peek before the show of those pieces. 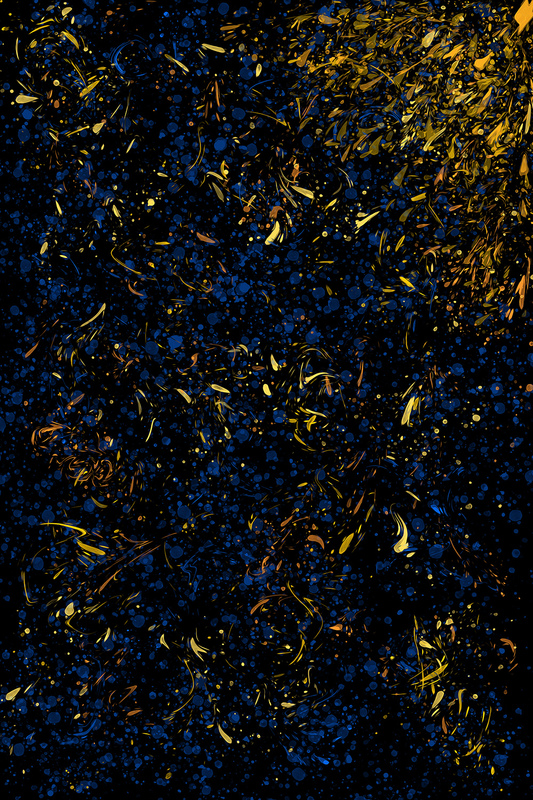 One new piece I created, Feeling Pollock, started as a test of some new techniques and developed into my first true digital painting. Almost all my work starts life as a fractal or more realistic from my 3D software. This piece was exclusively created with paint brushes (and other effects) in Photoshop. I'm excited to create more work with this technique. I specifically chose to use colors from my two most popular pieces, Blue N Gold and Feathers. 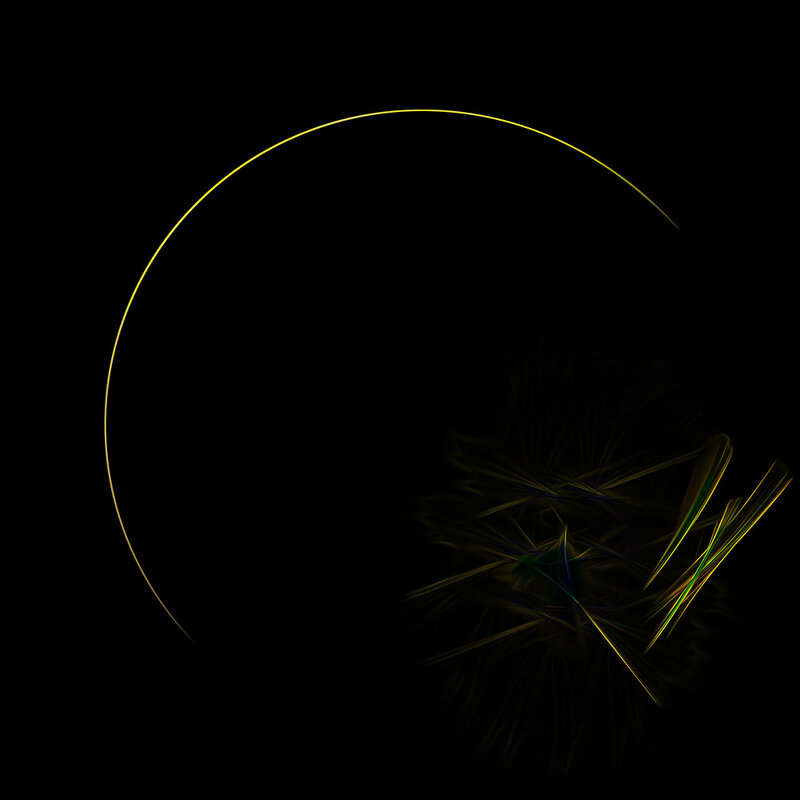 Eclipse is a fractal abstract. Took some work to get the look just right. The idea was to capture the moment just after a total eclipse, when sunlight starts to burst back out. I feel like I achieved that sensation well.